I am a typeface aficionado. I preferto use futura, because of it's modern, clean and geometric sans look. Also, I love sans serif typfaces. @Stjur why do you have to be so arrogant?! All I have seen you commenting the past few weeks are things akin to "do more mapping, otherwise no one cares." No wonder new users are discouradged from asking questions and getting feedback when all people like you tell them is to go back to mapping. Look, I get that OGF is about mapping, but our communication system is very confusing. To every new user the UD seems to be the most obvious place to go for help. How about instead of telling them to go map, you respond and get them engaged in the community, maybe then they will start getting a bit more inspiration? Sorry for being so upfront about this but your extremely arrogant comment really triggered me. Vodeo predominantly uses the FHWA series, modelled after the New Zealand and Australian styles. I really like the style of the type, and I'm familiar with it as well (I'm a huge roadgeek, to the point where I did two photography projects in high school on road signs, traffic lights, and power poles - and got good marks! ), so it made logical sense. Let us examine some of the signs. 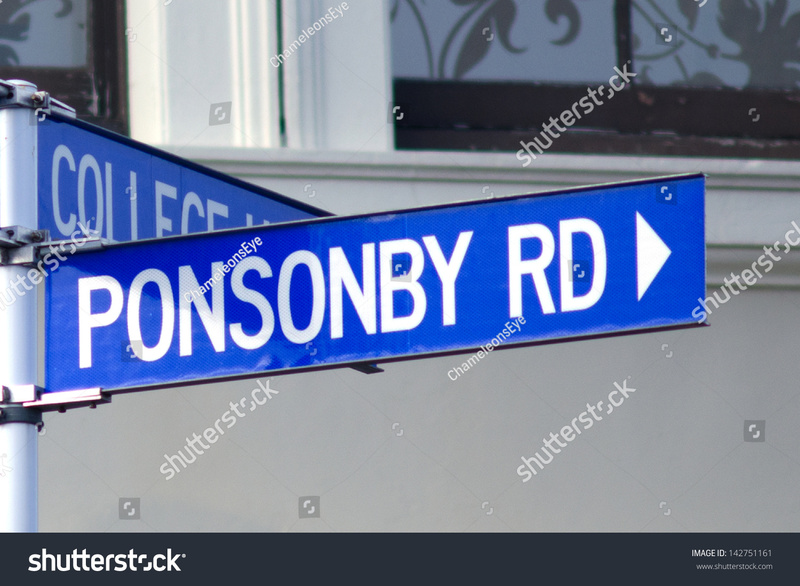 While FHWA fonts rule the road, council street signs are a different matter. 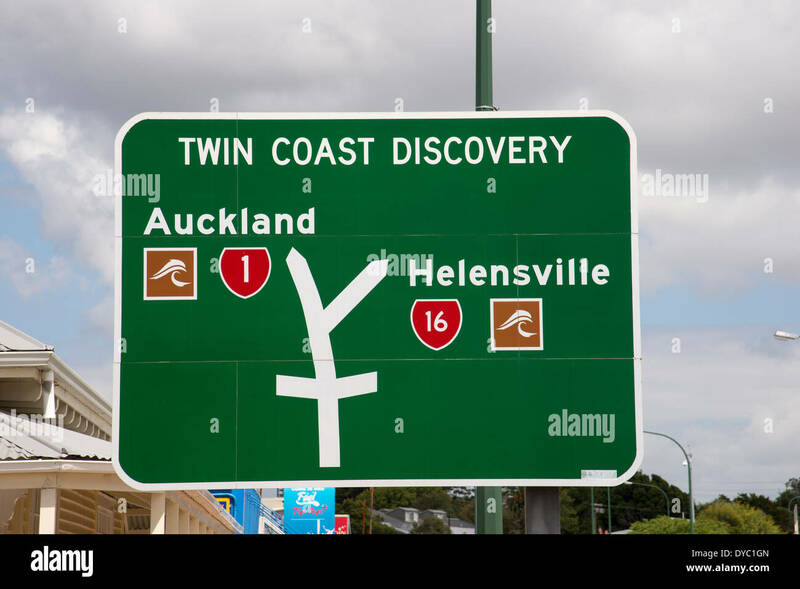 National sign rules allow local councils to choose between FHWA, Transport, DIN 1451, Helvetica, Univers, Frutiger, and Gotham. 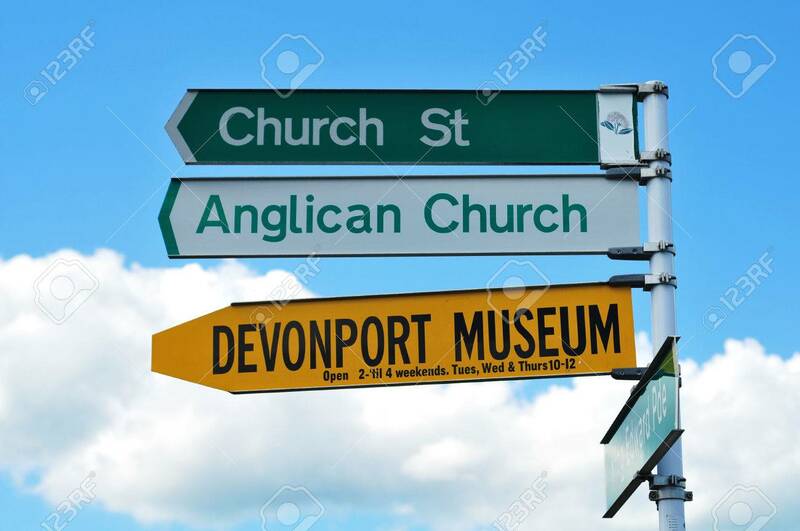 Private signs like the one below for the Devonport Museum can almost go for what they like. @Litvania that was totally necessary. I honestly feel that some questions I have can't be asked because some answers like the ones we see in this thread are bound to show up. I love the collaboration of this site, I just wish that the collaboration went beyond the mapping. Getting engaged in the community will help users develop even more of a desire to map, and they will even develop their own "style" of mapping based on the users that support them. I am actually a relatively new user, so I actually found this really helpful when I was just starting out. Paroy uses Transport, the same font that is used in the British road signs too, in combination with a mix between an both American and British-styled sign design. For street signs in cities and municipalities, it really depends on local governments what fonts are used. The only one yet is the street sign from Primrose Avenue in Trevers, which uses the Malter Sans font. I’m sorry if my comment „triggered“ you, I don’t see why it would sound arrogant, it just shows my deep disappointment. And now I got even more disappointed seeing how an experienced user like you responds this in such an arrogant way. I really am. What I’m trying to say is that if you’re trying to become part of the OGF community, you have to contribute to this site first - by mapping (because that’s what OGF is for), not by writing stories on the user diaries. People come together and collaborate through mapping, not through writing diary entries. Tito_zz has mapped a few street grids and some oversized buildings, this is not the right moment to think about fonts on road signs, don’t you think? The OGF community is the greatest community I’ve found in the entire www, too bad it’s shrinking, respectively it’s being taken over by a new, superficial generation of „mappers“. If you want to get attention through writing stories, you might wanna try Wattpad, on this website you’ll find other users interested in writing. If you’re looking for young friends with headsets, try Minecraft. If you’re looking for a boyfriend, go on Tinder or something, I don’t care, but if you’re trying to compare OGF to any of these websites, you are offending me and my work. Plus I feel very ashamed for all users who take their work on OGF very seriously (or who took it very seriously before they’ve abandoned their projects because of how superficial the new OGF community has become). I’m going through a very rough time in my life right now, but 50% of all my depressions are still caused by new user diary entries. I spent over 1 year of every day mapping on this website and now I realized I’ve practically just wasted my time. Or did I? Karolia uses Segoe UI (usually demibold) for road signs. RVK-KSF generally uses Sansation Bold. I don't know how to design such cool oad signs. Maybe in the future I will message around with Photoshop. What, nobody is using Comic Sans, huh? Some of these are really nicely designed! Are they just done in Photoshop and such, or is there a special program for this stuff? I started with Photoshop, but lately work mostly in Inkscape, especially after i discovered that Inkscape has layers, too (a feature I really liked and used extensively in photoshop). Inkscape has a bit of a steep learning curve, but the more I know it, the more I like it. [[File:Nuevo_Espiritu_Motorwaysign_1c.png|800px|center|A sample sign of the motorway system.]] This is my one and only try so far. It's crude, but i think decent for a first try. I used Inkscape's defaul sans-serif font. Inkscape is a fantastic (and free) tool for professional-looking artwork. There is a small learning curve but you can do nearly everything important with about 5 tools. Paint.NET is also well worth looking into. It's not a vector graphics program but is intuitive (intended as a replacement for MS Paint) and powerful. The renders I put in the other thread and elsewhere are Sketchup models rendered in Kerkythea (also freeware programs).